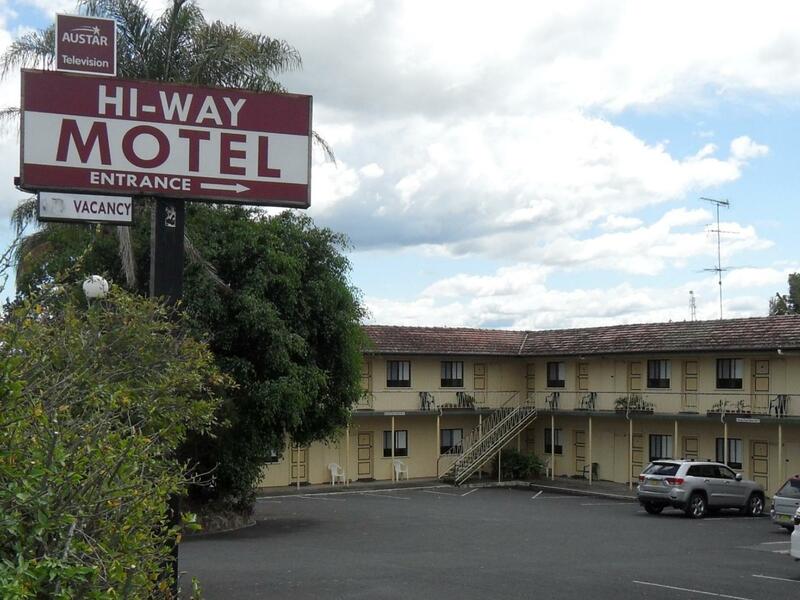 الخيار الأفضل للحصول على المتعة والاسترخاء, Hi-Way Motel Grafton يقع في منطقة South Grafton في جرافتون. يقع مركز المدينة المثير على بعد 0.2 Km فقط. كما يمكن الوصول بسهولة إلى ‪Christ Church Cathedral‬, جريت تايم كروزس, جرافتون ريجنال. 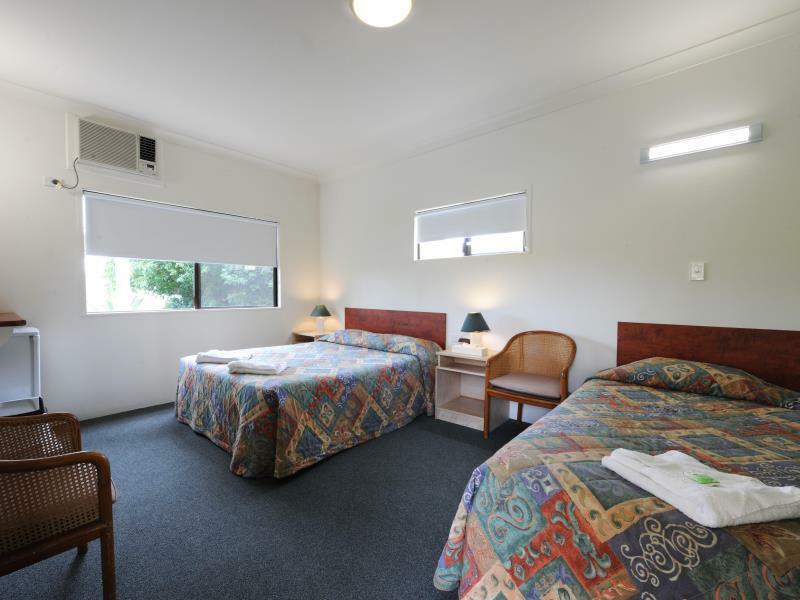 يقدم Hi-Way Motel Grafton خدمات لا غبار عليها وكل أشكال اللياقة وحسن الضيافة اللازمة لإسعاد ضيوفه. يمكن لضيوف الفندق الاستمتاع بالميزات التالية على أرض الفندق: واي فاي مجاني في جميع الغرف, مكتب الاستقبال على مدار الساعة, واي فاي في المناطق العامة, صف السيارات, خدمة الغرف . يمكن للنزلاء الاختيار من ضمن مجموعة من الغرف المصممة بعناية لتعكس جواً من الراحة، والتي يتجاوز عددها 31. سواء كنت من محبي الرياضة أو كنت تتطلع لتفريغ عناء نهار صعب، ستجد خدمات ذات مستوى عالي بانتظارك كمثل حمام سباحة خارجي. 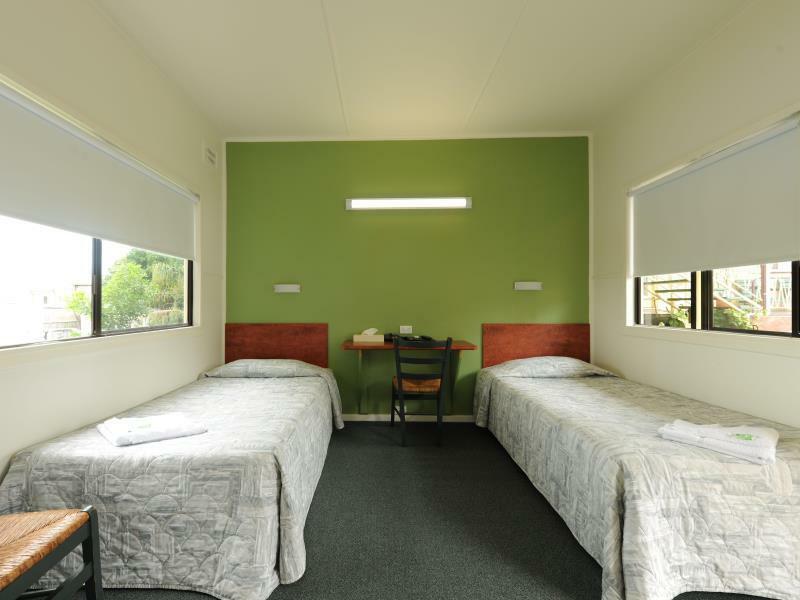 إن Hi-Way Motel Grafton هو خيار ذكي بالنسبة للمسافرين إلى جرافتون، بما يوفره من إقامة هادئة ومرحة. Greeted by friendly staff at reception. Room clean and tidy. WIFI did not connect. We arrived at 7pm. 2 x kids had short shower, but when my wife went for her shower NO HOT WATER. We just wanted a bed and shower for our money. Also the rooms need to be draft proofed and sound proofed better. Trucks all night and three trains. Air conditioning was also very old and noisy. I just needed a clean and convenient stop over half way home, returning from Brisbane. The room was surprisingly clean and well laid out. Shower was fully functional with plenty of hot water and pressure. Bed was comfortable. The location was quiet despite the proximity to the highway. I would happily stay there again. Room was very dated. Beds and pillows perhaps the worst I have ever had to sleep with. Traffic noise from both a Hyway and trainline. Will not stay here again, would be better sleeping in my car. Seems like a "by the hour" Motel. Very nice staff. 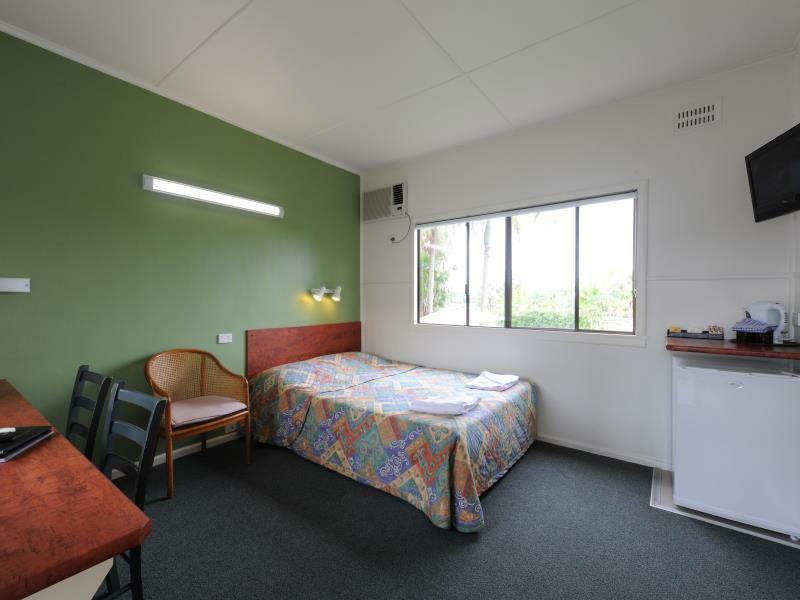 Very basic, a $66.00 motel in Moree provide more ameties than this $83 motel. Location isn't too bad, although trying to turn out of the place onto the highway during the day is a bit dangerous. Arrived at 8pm to check in, sign said reception open until 10pm, rang the bell a few times, then called the upside down phone number on the door and was told where to find my key as the office wasn't attended. Room is basic, outdated. Beds were fine, pillows too thin for my liking, tv way too small but loud enough. Bathroom refurbished, a little small but does all it needs to, only downside was no hand towel to dry your hands with. As other reviewers said there is lots of truck noise all night however this doesn't bother me. Rooms weren't dirty or anything, more just tired and in need of an update, some new carpet, paint, sheets and a bigger tv would make a world of difference. Maybe a nice long table to put stuff on instead of the outdoor cafe chairs that were there. The only issue i had was not much bench space or a table for eating.I had a laptop computer which used most of the bench space.so where do you eat. Not something I would do again. 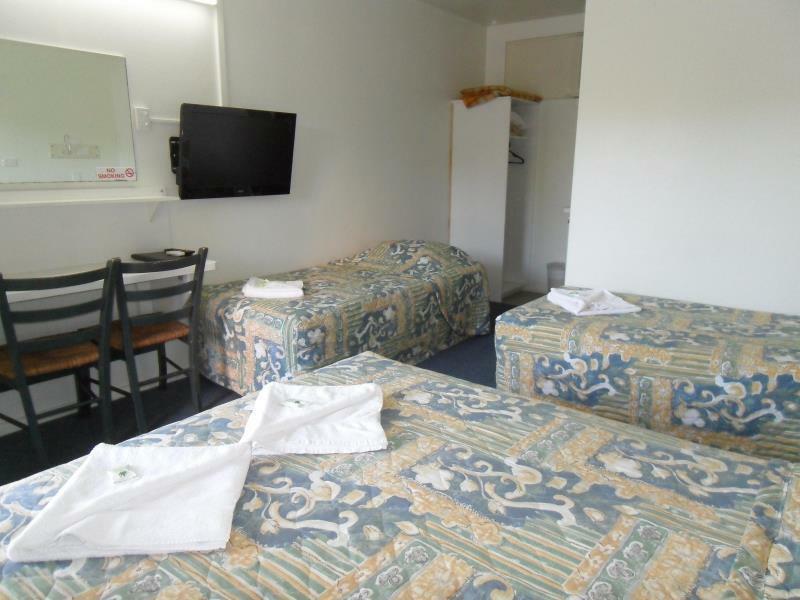 An old hotel with a need of refurbishing, cheap and nasty. Except for the fact there was no tables around our stay was just that a stay. It's an old run down motel. We had a room upstairs and the stairs were very steep and not child friendly. 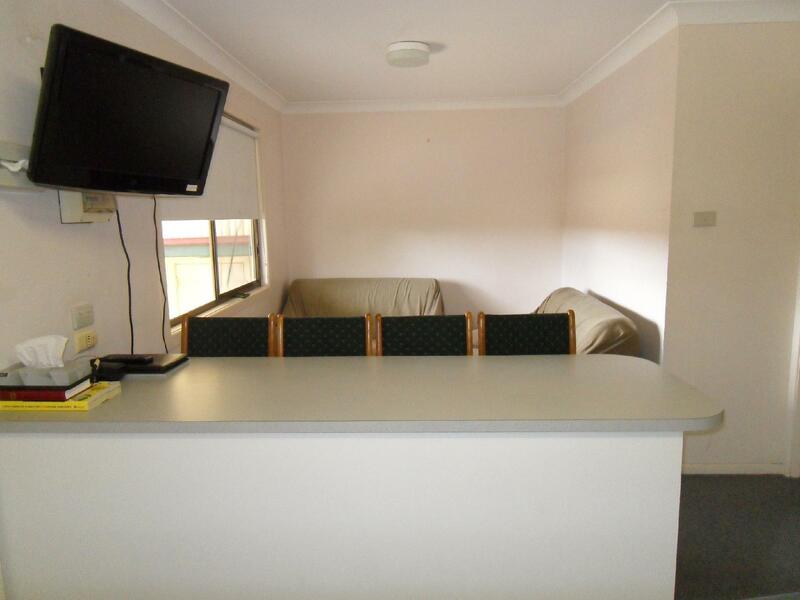 The room it's self is dated and although clean and tidy the fixtures really let it down. The air con was too noisy to use so we were a little on the cool side. The shower was just ok with the curtain chasing you. For the money I'd try somewhere else next time. While I thought the Receptionist was very helpful and pleasant the room was something else. I found it to be so very small. 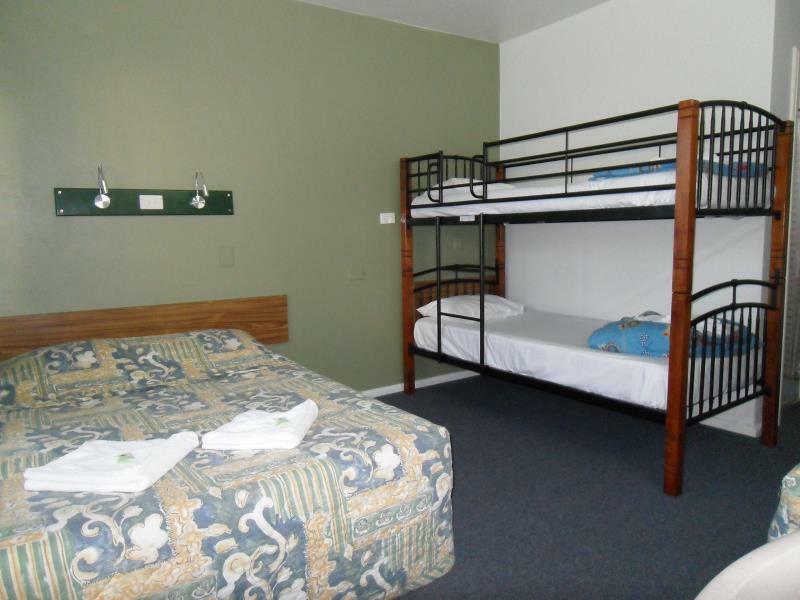 The double bed was up against the wall and there was hardly any room to swing a cat around. I make mention of this as the price of this hotel was certainly within the same range as others on offer. I was very tired and did not check out the room size first. Very disappointed. Not suitable this room for a family at all.